Kim Barnes- New Riviera Team Racer. Photo- Lori Griffith. 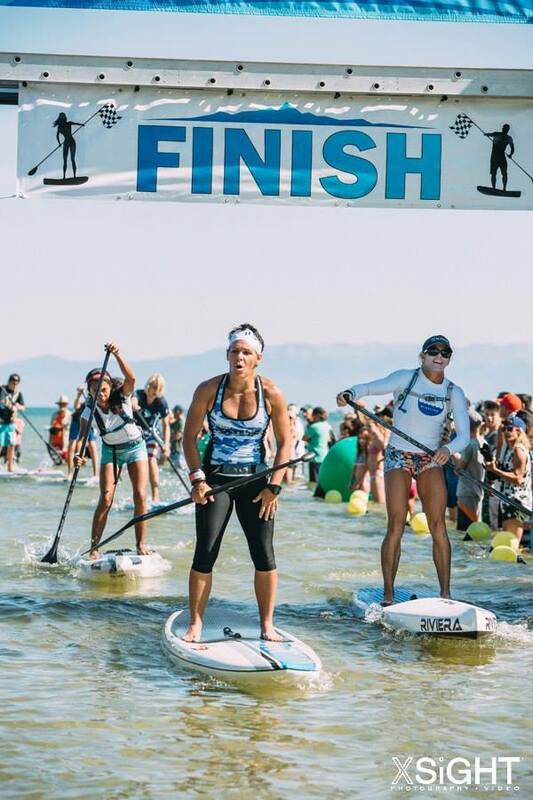 Recently joining the Riviera Team, Florida based Kim Barnes traveled west to compete in Race the Lake of the Sky in South Tahoe, California. 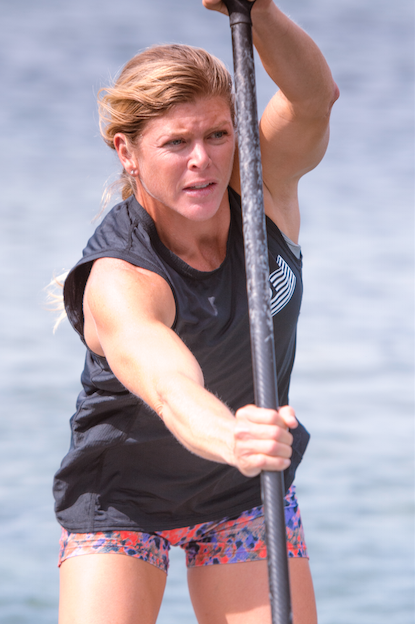 Kim has been tearing it up on the Atlantic race scene and has become a familiar face on the podium. Tahoe would be her first race on the west coast, on a lake, and would be her national race scene initiation. Training in Florida at sea level, Tahoe would present the challenge of altitude and how it would affect her breathing and oxygenation. In addition, Barnes would be receiving and racing her new custom Riviera board, which was narrower than what she was accustomed to riding. How would you describe your race experience? “The 5 mile technical course had a ton of buoy turns. While racing i could feel my chest inhalation and exhalation just starting to kind of hurt. On the buoy course you would sprint, sprint, sprint….stop….turn your board….then sprint, sprint, sprint…stop.…turn your board, etc. because the buoys were fairly close together. Inhalation and exhalation really factored into how i was breathing and how my body felt. I was concerned if I was getting enough oxygen to the rest of my body. The next day was the 14 mile race which is far for me to paddle since I don’t train distance. I wasn’t sure with the altitude how i would measure up but I got into a draft train and felt strong throughout the whole race. I ended up doing well. I felt confident once the race started and was proud of how I was able to deal with the different courses, the altitude, and being on a new board. Did you find anything in particular different between intracoastal waters and lake racing? Barnes took 5th place on the technical course with only seconds separating the 3rd, 4th and 5th place finishers. With the distance course she placed 4th, again just a few seconds behind 3rd.